The June 5, 2013 Newsletter is here! https://www.bikeathens.org/dev-site/wp-content/uploads/2018/01/BikeAthensHeaderThin.png 0 0 dpatton https://www.bikeathens.org/dev-site/wp-content/uploads/2018/01/BikeAthensHeaderThin.png dpatton2013-06-05 12:47:422013-06-05 12:48:10The June 5, 2013 Newsletter is here! The May 29th Newsletter is in! https://www.bikeathens.org/dev-site/wp-content/uploads/2018/01/BikeAthensHeaderThin.png 0 0 dpatton https://www.bikeathens.org/dev-site/wp-content/uploads/2018/01/BikeAthensHeaderThin.png dpatton2013-05-29 11:53:412013-06-05 12:54:41The May 29th Newsletter is in! Check out the May 22, 2013 Newsletter! https://www.bikeathens.org/dev-site/wp-content/uploads/2018/01/BikeAthensHeaderThin.png 0 0 dpatton https://www.bikeathens.org/dev-site/wp-content/uploads/2018/01/BikeAthensHeaderThin.png dpatton2013-05-22 12:09:482013-05-22 12:09:48Check out the May 22, 2013 Newsletter! The May 15, 2013 Newsletter is in! https://www.bikeathens.org/dev-site/wp-content/uploads/2018/01/BikeAthensHeaderThin.png 0 0 dpatton https://www.bikeathens.org/dev-site/wp-content/uploads/2018/01/BikeAthensHeaderThin.png dpatton2013-05-17 13:10:072013-05-20 12:15:26The May 15, 2013 Newsletter is in! May 8, 2013, a new Newsletter and Bike To School Day! 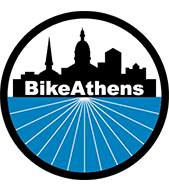 https://www.bikeathens.org/dev-site/wp-content/uploads/2018/01/BikeAthensHeaderThin.png 0 0 dpatton https://www.bikeathens.org/dev-site/wp-content/uploads/2018/01/BikeAthensHeaderThin.png dpatton2013-05-08 13:14:072013-05-20 12:15:19May 8, 2013, a new Newsletter and Bike To School Day!